With fears that polio may to countries that are polio-free and put children at higher risk worldwide if not fully funded and committed, Rotary is giving $49.5 million in grants to support immunisation and surveillance activated by the Global Polio Eradication Initiative. This is as the world is on the brink of eradicating polio, a vaccine-preventable disease that once paralysed hundreds of thousands of children each year with only 11 confirmed polio cases this year. 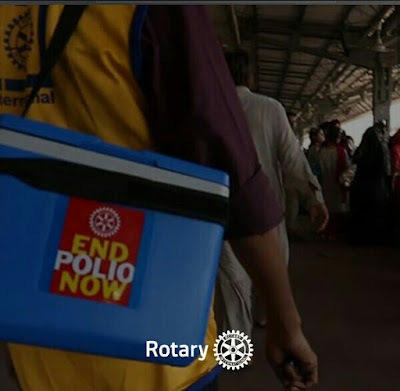 Hence, to recognise this historic progress, Rotary clubs worldwide will host events in conjunction with Rotary International’s fifth annual World Polio Day celebration on October 24 this year. The event will be co-hosted by Rotary and the Bill & Melinda Gates Foundation and held at the foundation’s headquarters in Seattle. The program will feature an update on the global fight to end polio and an array of guest speakers, celebrities, and public health experts. People around the world can view the livestream of the event on (http://APO.af/PP9imJ) on Oct. 24 at 2:30 p.m. Pacific time. But then he warned that without full funding and political commitment to eradication, the disease could return to countries that are now polio-free and put children everywhere at risk. Hence, “Rotary is giving $49.5 million in grants to support immunisation and surveillance activated by the Global Polio Eradication Initiative,” he disclosed. Some of the funds, according to him, will support efforts to end polio in the three countries where it remains endemic: Afghanistan ($9.32 million), Pakistan ($8.94 million) and Nigeria ($7.71 million). Further funding will support efforts to keep six vulnerable countries polio-free: Chad ($2.37 million), the Democratic Republic of Congo ($4.5 million), Guinea ($961,000), Somalia ($1.62 million), South Sudan ($3.77 million), and Sudan ($2.56 million). An additional $7.74 million will go toward surveillance activities in Africa and the Eastern Mediterranean region. In a show of solidarity and to raise awareness and funds for polio eradication, McGovern added that Rotary clubs around the globe would host nearly 1,900 events for World Polio Day. They include: A viewing party of the livestream in Fond du Lac, Wis; A Rock vs. Polio music event in Curitiba, Brazil. Others are: Placing of End Polio Now piggy banks in local businesses to collect donations in Viljoenskroon, South Africa; A soccer game in Cairo, Egypt between the street children of Hope Village Society and students from local engineering colleges and a golf fundraiser in Yoshiwara, Japan. 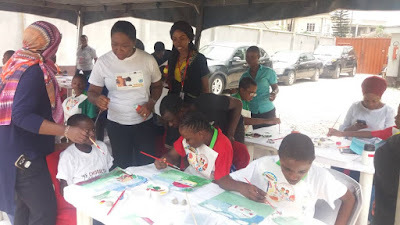 The Chair, however, continued that Rotary had committed to raising $150 million over the next three years, which will be matched 2-to-1 by the Bill & Melinda Gates Foundation, yielding $450 million for polio eradication activities including immunisation and surveillance. Indeed, Rotary started its polio eradication programme – PolioPlus – in 1985. In 1988, it became a partner in the Global Polio Eradication Initiative alongside World Health Organisation (WHO), United Nations Children’s Fund (UNICEF) and the U.S. Centers for Disease Control and Prevention. The Bill & Melinda Gates Foundation later became a partner, too. Since the initiative launched, the incidence of polio has declined by more than 99.9 percent, from about 350,000 cases in 1988 to just 37 cases in 2016. Rotary has contributed over $1.7 billion — including matching funds from the Gates Foundation — and countless volunteer hours to protect more than 2.5 billion children in 122 countries from polio.